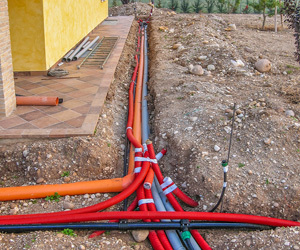 Laser Plumbing Newcastle Central provides 'Totally Dependable' drainage services for residential clients across Newcastle, the Hunter Region, Central Coast and Port Stephens. Whether it is to install new drains, repair or replace existing drains or unblock drains, we are here to help. Proper drainage for your property is essential. Drains should be kept clean and clear for them to work effectively. We have specialist equipment with the ability to clean out stubborn blockages if it occurs. We can also provide regular maintenance checks with leak detection equipment for precise maintenance and repairs, while also checking drains to prevent blocked drains from occurring. Laser Plumbing Newcastle Central can take care of your home renovation plumbing needs, so please contact us to discuss your requirements.